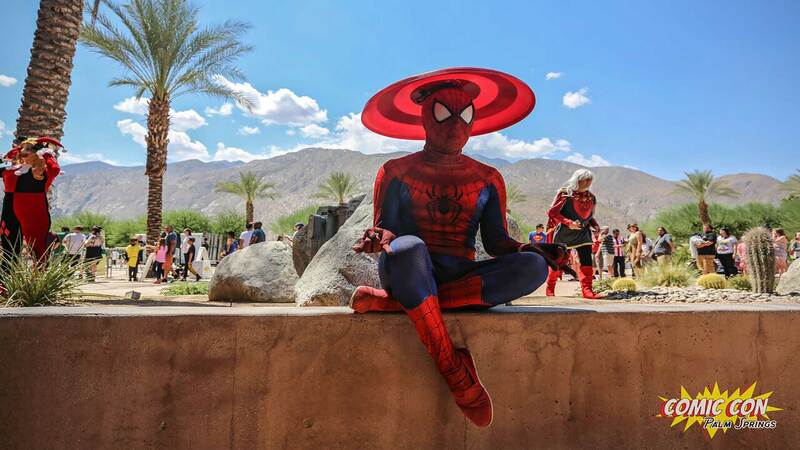 More than 25,000 people are expected to converge at the Palm Springs Convention Center for Comic Con Palm Springs (August 25-27, 2017), an event that is swiftly becoming a fan favorite synonymous with summertime in the desert. Unlike its massive San Diego cousin, the Greater Palm Springs version offers an intimate opportunity to get up close and personal with the industry and its stars. The three-day celebration will feature an extensive exhibit hall bursting with rare and vintage collectibles and the chance to meet and procure autographs from comic makers and celebrities. The weekend also boasts exclusive signature events, activities and entertainment not found elsewhere, including a concert given by none other than the original Wonder Woman herself, Lynda Carter. For as little as $60, you can partake in the fun, or diehard fans may opt for VIP admittance and even attend a dinner with master creator Stan Lee. The Original Wonder Woman Sings! On August 26, the iconic Lynda Carter will bring her “Other Side of Trouble” Tour to the convention for a 90-minute performance of jazz, blues, country and pop. Separate tickets are required and advance purchase is suggested, as the show is likely to sell out. Mix and mingle with the likes of Deadpool artist Rob Lefeild, Marvel Entertainment artist Skottie Young, Amazing Spider Man and Danger Girl artist J. Scott Campbell, Walking Dead actor Khary Payton, Spongebob voice actor Tom Kenny, Despicable Me voice actress Dana Gaier, cosplayer and model Leeanna Vamp and many more. 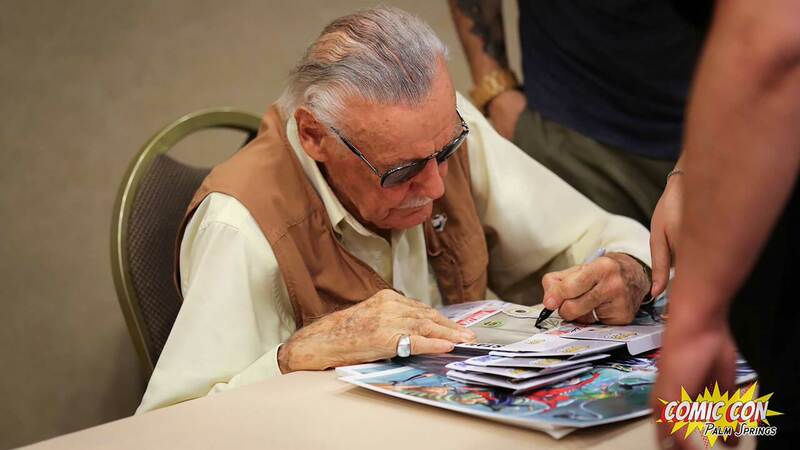 The feisty Marvel creator Stan Lee is as beloved as his mighty superheroes. Not only is he known for making cameos in his own films, but he also enjoys showing up at conventions to mix and mingle with fans. On Friday night, you can join Lee at a special dinner where you’ll receive a signed photograph and the opportunity to take a photo with the comic book legend himself. Stan Lee is not only a creator—he’s a collector, too. The icon has amassed a large variety of vintage comic book-related memorabilia. His extensive personal collection will be on view at the show featuring such gems as a Wolverine statue, Daredevil’s mask, Thor’s Hammer, a collection of Tony Stark’s Iron Man masks and some original Star Wars artwork. On August 26 at 7 p.m., you can join a crew of zombies, or even dress up as one yourself, to parade through the streets of Palm Springs surrounding the Convention Center for a walk of horror. Sign up ahead of time online. At various times over the weekend, the Escape Room Palm Springs will be hosting a Zombie Maze Room at the Cactus Room at the Renaissance Hotel. Agree to lock yourself into this terrifying game where you need to use your wits to find a zombism cure before getting eaten by members of the undead. 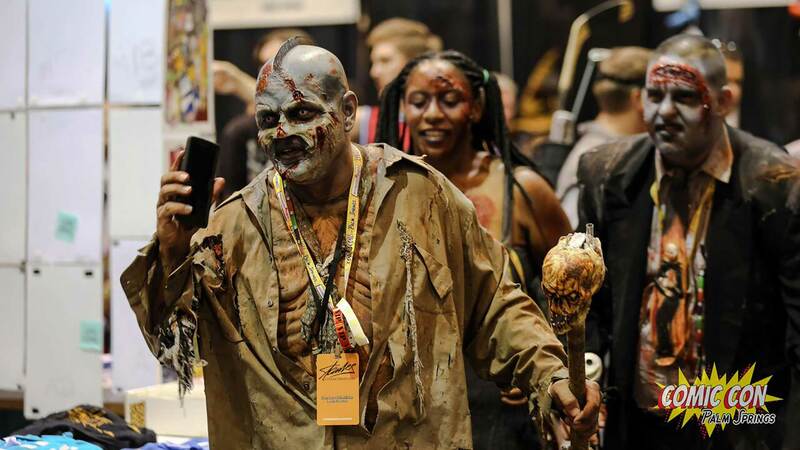 There will also be a zombie-themed café, late night movie, party at the Hard Rock hotel and appearances by Walking Dead actor Khary Payton. You’re sure to see many of your favorite characters roaming around in Cosplay splendor at the convention. This year will surely have its share of Wonder Woman and Game of Thrones aficionados. Dress up yourself and you can enter an on-site contest for cash prizes—there will be contest for adults and children. Comic Con Palm Springs tickets are on sale now at comicconpalmsprings.com. A standard three-day membership is $60 ($70 at door), and a three-day VIP membership is $125 ($135 at door). Attendees may also select to attend individual days. A Friday-only membership is $35 ($45 at door), a Saturday-only membership is $47 ($57 at door), and a Sunday-only membership is $35 ($45 at door).